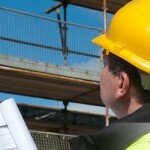 Thousands of people are getting in to construction field every year with CSCS card. The construction industry looks for workers, supervisors and engineers with good construction skills. Hence, it is must for you to certify your skills. So how can you prove that you are smart and knowledgeable enough to be a part of construction field? This is for what you have to attend the CSCS test. This is nothing, but health and safety environment test that checks for your competence in the safety areas of construction field. Before registering your name you have to select the right type of CSCS card that suit your professional level in construction. Do you experience any confusion in selecting the card? Then, you can go for the consulting services. Experience and present working scenario determines the type of card. CSCS experts can help you with selection of cards, registering the name for the test, providing classes to pass the test, to apply for the card and to get in your hands. They will also help you to renew the card. Your skill only is not enough to get entry in to contrition field. At present it is mandatory to hold to CSCS card to showcase your construction skills and knowledge. Now the time is yours to register for the test.